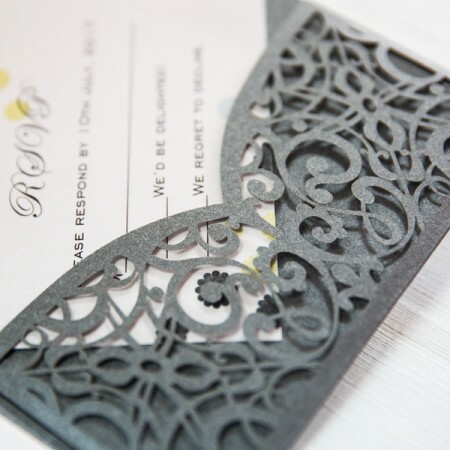 This black laser cut pocket features a laser cut closure and an laser cut flap to hold your enclosure cards. 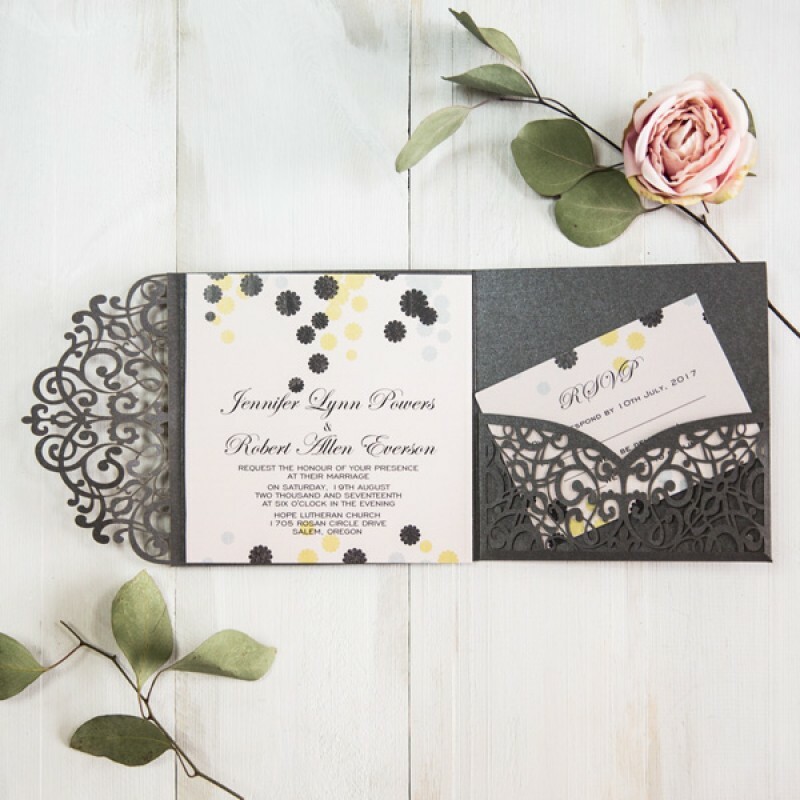 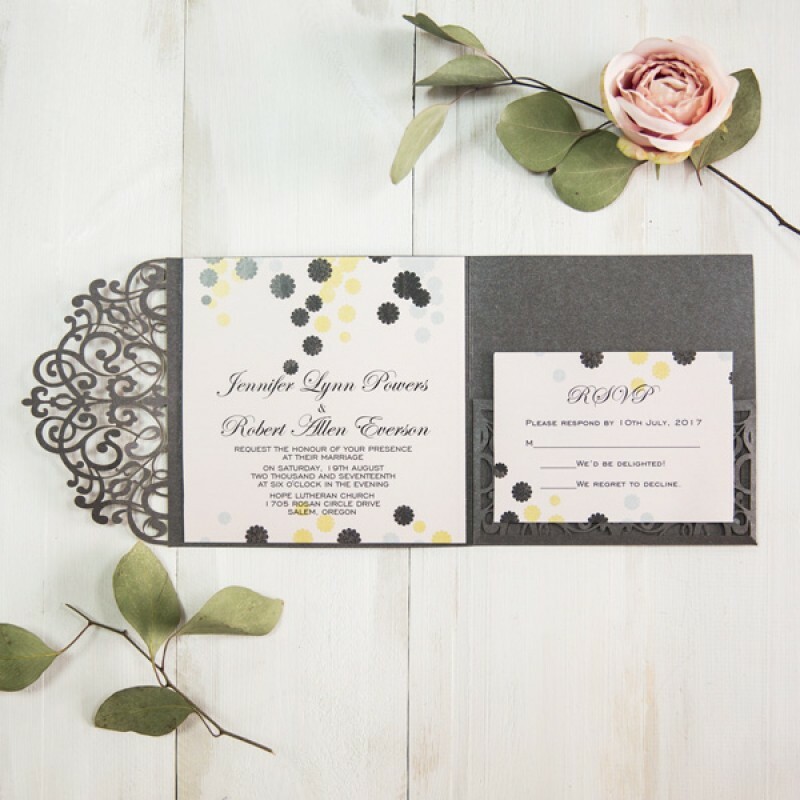 The scalloped circles can been seen as modern daisies or an artist pattern…either way, this invitation is perfect for a spring or summer wedding. 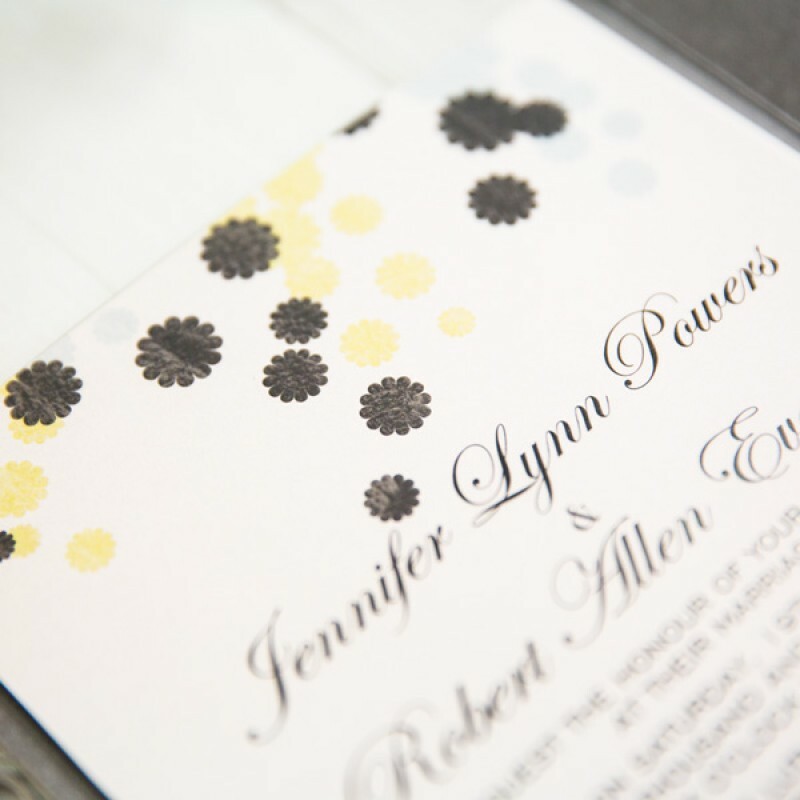 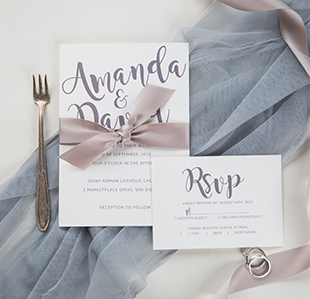 Whether you are getting married in an art gallery or a classic chapel, this invitation can carry over to many themes.